What if the prospective landlord says: Must be employed? "I am so frustrated. As a landlord in the Ohio Valley I've received numerous phone calls from people wanting to rent my newly remodeled 2 BR house. Only about 2 % of these calls come from employed people. I do not rent to oil workers because of the shortage of housing for locals. BUT, I am not running a homeless shelter. This is a business and I need my rent. Every other phone call is someone that receives assistance from the government. Don't tell me there are no jobs! I have 3. I just spent 3 weeks of 12 hour days getting this house ready to rent and I don't have time to do that again! I need a responsible adult with an income." Seems like this means that being disabled, caring for young children, or being elderly is... what? Irresponsible? As a landlord her only job is to figure out if the applicant can pay the rent and won't destroy the property...not to judge their life choices. “All that is necessary for rent payment is that the applicant can afford the monthly rent. The applicant would only have to provide proof that he or she has the income. That can be any regular documentation from any verifiable source. If the applicant refuses to provide required documentation of income, that may make a rental application impossible to evaluate. 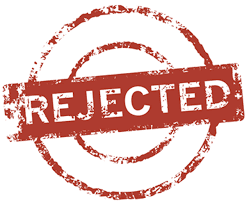 Example: if an applicant is retired and living on Social Security and Medicare, does that mean that this applicant would be rejected for not being employed? Social Security issues a statement of income for recipients. A manager would use that paperwork plus any other documented source of income to determine whether or not an applicant can afford rent. Another example: parents often pay rent for college students. The manager would ask the financially responsible party, in this case the parents, to fill out an application and they would be screened as well. The parents would co-sign the rental contract in that case. Fair Housing law makes no statement about employed or unemployed people being a protected class. However, if any owner feels it is wise to exclude people with non-employment based income and good rental records due to some personal wish for employment status, he or she will lose income and potentially excellent rental applicants. 1. Document the requirement. Advertisement, lease requirement, witnessed statement. 2. Figure out if the prospective tenant's unemployment is because she/he is a member of a protected class. For example: disability. If yes, the homeseeker can file a discrimination complaint. 3. If no, figure out if the policy is applied to all applicants or just a select few. 4. Consider the disparate impact of the policy of "employment only". Does that rule fall more on members of a protected class. For example: most people in the community who would not qualify are also members of a protected class.